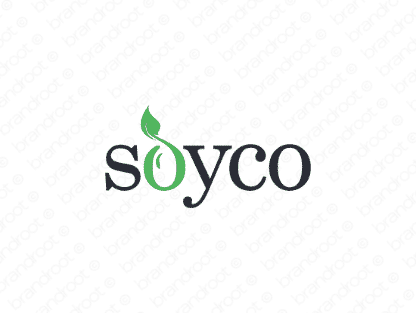 Brand soyco is for sale on Brandroot.com! Natural brand inspired by the worldwide prevalence of the soybean. The soybean is known as the "large bean" in China, and the "miracle bean" elsewhere, making for a brand with as many uses as the soybean itself! You will have full ownership and rights to Soyco.com. One of our professional Brandroot representatives will contact you and walk you through the entire transfer process.